Nobel Prize for IVF or dehumanizing technology? Robert G. Edwards is awarded the 2010 Nobel Prize for physiology/ medicine for the development of human in vitro fertilization (IVF) therapy. According to the Press release of the Nobel Committee “His achievements have made it possible to treat infertility, a medical condition afflicting a large proportion of humanity including more than 10% of all couples worldwide”. This may seem to be a “good news”, but the question is, for whom? From a women’s perspective, this is a reward for commercially using women’s desperate situation to prove her ability to procreate in this patriarchal world. Robert Edwards unfortunately has only re-established the fact that a woman has no value unless she can produce a baby. Feminists around the world, particularly those in the developed countries, have critically looked at the technological solution to the infertility issue. It is obvious that a ‘new’ reproductive technology such as In-Vitro Fertilization (IVF) has been offered to women in the developed countries in the beginning and also only to those who could afford to pay for this high-tech treatment. It was definitely not offered to all the women who were in need of it. Back in 1984, the book “Test-Tube Women” edited by Rita Arditti, Renate Klein and Shelley Minden (Pandora Press, UK, 1984) raised the question “How sincere is this concern to help infertile women to have children? Why they do not tell that only a fraction of all female infertility problems can even potentially be helped by this treatment? And why do they call the babies that result from it “test-tube babies” implying that the babies emerged from a laboratory instead of a woman’s body?” This question cannot be answered even now in 2010, when the Nobel Prize is announced for development of human in-vitro fertilization. Women’s reproductive role has been an issue of women’s freedom since the beginning of the last century. Margaret Sanger, the American birth control activist, advocated birth control among women as an imperative solution to the “unwanted child”. The Birth control movement started in America in 1910. In flyers (1916), she wrote, “Mothers can you afford to have a large family? Do you want any more children? If not, why do you have them?” Her orientation came from Malthus population theory and also reflected the attitudes of the eugenicists - “More children from the fit and less from the unfit – that is the chief issue of birth control” (Bonnie Mass, The Population Target, 1976). However, restricting birth was promoted among the working class women as they were considered to be “unfit” to raise children from eugenic point of view. However, women could not be entirely freed from procreation. In the later part of the last century it was more to become “free” through handing over the reproductive function to test-tubes and laboratories. In 1971, American feminist Schulamith Firestone prophesied that when women’s reproductive function is taken over by technology – with childbearing conceived in test-tubes and nurtured in glass wombs housed in medical laboratories – women’s potential for ‘true’ liberation will be met (ed. Jocelynne Scutt: The Baby Machine – Commercialisation of motherhood, 1988). Firestone’s prophecy came true that many women became clients of the technologies such as IVF, artificial insemination, surrogate motherhood etc. Why the Nobel Prize for the IVF therapy is a disappointment from women’s perspective? 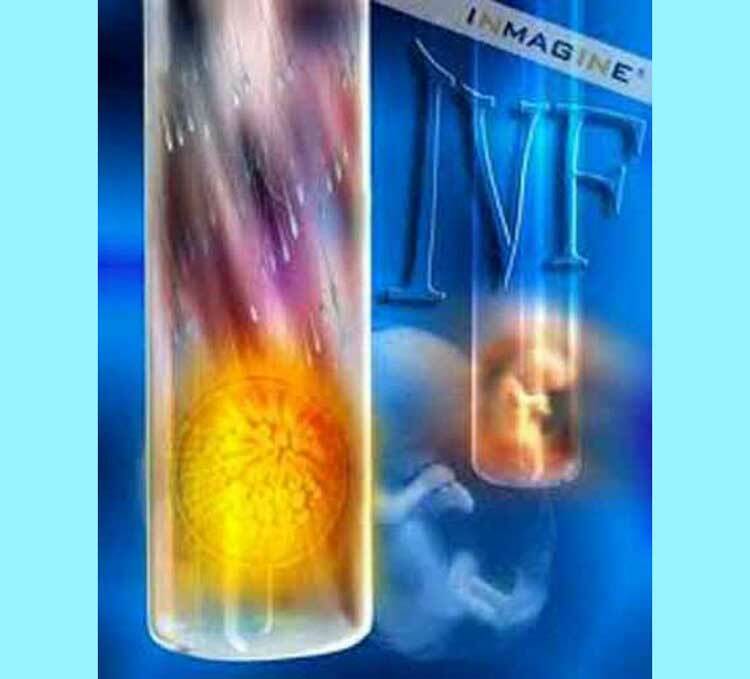 IVF, is a method of assisted reproduction, where a man's sperm and the woman's egg are combined in a laboratory dish, where fertilization occurs. The resulting embryo is then transferred to the woman's uterus (womb) to implant and develop naturally. Usually, 2-4 embryos are placed in the woman's uterus at one time. Each attempt is called a cycle. So it is clear that the baby is actually born in the womb of the mother, not in the test-tube. But when the Nobel Prize is announced, the newspaper reports said, “Father of In Vitro Fertilization Robert Edwards wins Nobel prize for medicine (Times of India/ bdnews24.com etc. ). Such use of patriarchal terms for sensitive issues like infertility (both men and women) is objectionable. Women are no more mothers, it is the fatherhood that is established. Women suffering from some level of infertility sought IVF as a treatment, and wanted to become a mother. The use of the technologies requires woman’s body, where the embryos are placed. She has to go through the entire pregnancy term and yet the chances for having the baby are not as high as it is expected. So women continue to bear the pain, both physical and mental. If it does not work, it is her bad luck, not the failure of the technology. Only with so-called successful cases, the doctor becomes the father. Isn’t it immoral to call the scientist as the father, when it is related to individual family relations and very intimate matter of couples. Starting in the 1950’s the contribution of the British scientist Robert Edwards, as a fundamental research on the biology of fertilization, is to discover important principles for human fertilization, and succeeding in accomplishing fertilization of human egg cells in test tubes (or more precisely, cell culture dishes). His efforts alone could not result in treatment of infertility. He contacted the gynecologist Patrick Steptoe, who developed IVF from experiment to practical medicine. Steptoe was one of the pioneers in laparoscopy, a technique that was new and controversial at the time. It allows inspection of the ovaries through an optical instrument. Steptoe used the laparoscope to remove eggs from the ovaries and Edwards put the eggs in cell culture and added sperm. The fertilized egg cells now divided several times and formed early embryos, 8 cells in size. On 25 July, 1978 the world's first "test tube baby" Louise Brown, was born. Now the question is, who is the actual father of the In-vitro fertilization? The couple Lesley and John Brown came to the Edwards’ clinic after nine years of failed attempts to have a child. IVF treatment was carried out, and when the fertilized egg had developed into an embryo with 8 cells, it was returned to Lesley and she carried out the full term pregnancy. Then how does Dr. Edwards is the ‘father’ of the first test-tube baby? What is the role of John and Lesley? It is interesting to find out that in 1985, Dr. Steptoe was also called the ‘father’ of the test-tube baby (Canberra Times, 20 November, 1985, quoted in The Baby Machine: Commercialisation of Motherhood, ed: Jocelynne Scutt, 1988) It seems, both Robert Edwards and Patrick Steptoe were the fathers of IVF. Having more than one father for the same technology does not seem to be scientific enough. My concern is from a feminist perspective about how we look at the issue of infertility of couples, and particularly of women? According to the Press Release of the Nobel committee “more than 10% of all couples worldwide are infertile. For many of them, this is a great disappointment and for some causes lifelong psychological trauma”. But it does not say whether all these infertility problems can be treated with IVF. If so, then why there are other assisted reproductive technologies in place such as artificial insemination by donor (AID), artificial insemination by husband (AIH), gamente intra fallopian transfer (GIFT), proclaimed as “all for the infertile”. Among other Feminists, Jocelynne Scutt and Romana Koval pointed out that before embracing reproductive technologies as the best and the only way to deal with infertility, society as a whole, doctors involved in the programmes, and those participating in the programmes need to look at the causes of infertility. All too often infertility is caused by technological ‘advances’, environmental conditions created in industrialization, the use of pesticides, and weapons testing”. Scutt and Koval gave the example of Vietnam War. Vietnamese soldiers and civilians, American soldiers, Australian and New Zealand military, through contact with Agent Orange ( a chemical produced by Monsanto) and similar chemical substances used in warfare against the Vietnamese people caused infertility among men and women (Scutt, 1988). 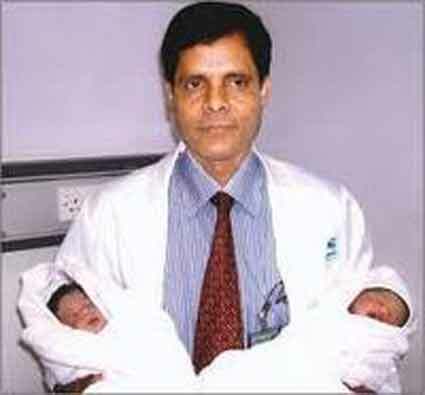 The first Test-tube baby in Bangladesh were triplets: Hira, Moni and Mukta were born in 2000. Since then thousands of women tried the technology only few were successful. Infertility treatment is one of the big business in Dhaka city. How is this relevant for Bangladesh? As a third world country, Bangladesh has always been blamed for “over-population”. Bangladeshi women were brought under programme helping them not to produce children, and they were blamed for being the cause of their own poverty, environmental destruction, climate change, terrorism and under-development. Millions of women were given temporary and long acting contraceptives such as pill, IUD, injectables, implants and permanent methods such as sterilization. New methods were tested on women’s bodies without their knowledge and consent. Methods that have been rejected by the western women were dumped on the bodies of Bangladeshi women. This is called the population control programme financed by the multilateral donor agencies such as World Bank, UNFPA etc. In Bangladesh the question of infertility was not even raised until it became a “business” for some doctors, who received training on IVF, Frozen Embryo and few other infertility treatment called the Assisted Reproduction. According to the doctors involved in the business of infertility treatment, there are over 3 million identified infertile couples and 10 to 15% of the couples are suffering from infertility in Bangladesh. This statistics is given primarily to justify the need for introduction of the technologies for Infertility Treatment. Somehow, it is almost the same as the global statistics on infertility, as referred by the Nobel Committee. There is no official statistics on infertility. Infertility involves both members of the couple, but it is not often diagnosed properly in Bangladesh. Apparently it is taken for granted that infertility means female infertility. But when it comes to the issue of treatment, it is found that the infertility of a couple is caused by men (33%), women (33%) and husband and wife both (33%). The problem is acute among men in terms of deficiency of sperm counts but they do not often go for testing of infertility. However, couples have been waiting longer and try many other ways including treatments to have babies. Going for a "technological help" to have babies is a very recent phenomenon. Since early 2000, the technologies already used and abused in the developed countries such as IVF, (commonly known as "Test Tube baby"), Embryo transfer, Frozen Embryo, "Intra-cytoplasmic sperm injection" or "ICSI", intra uterine insemination (IUI) etc. have found their ways into Bangladesh with clinics run by private practicing doctors, having been trained abroad on these technologies. They provide high "hopes" to infertile couples although the success rate is still very low. They charge high prices for the treatment almost Tk. 200000 to 300000. There are advertisements of the clinics and promotion in newspaper reports with photos of babies carried in the arms of the doctors (both male and female) as the "producer of the babies". The parents of the ART babies are hardly shown. There is no regulation on the safety or suitability of the techniques and if it fails it is seen as "bad luck" of the couple. More than 479 babies are already born although over 20,000 couples have sought treatment in different clinics so far. It is the doctor, not the mother of the baby who is appearing in media with the IVF baby. It gives credit to the technology and the doctor, denying the pain and the complete pregnancy that the mother has gone through. Hearing about the Nobel Prize for Robert Edwards for developing IVF, I wonder if the technology is going to be pushed in more commercial way into the third world countries like Bangladesh with the label of Nobel Prize on it, so that no question can be raised.